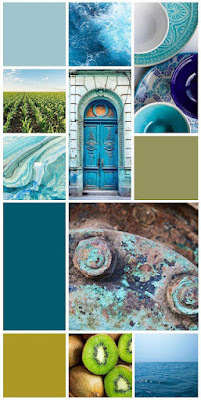 Today, we have an amazing moodboard for you at the studio challenge blog! I really love all the blues, turquoise and green! It smells like summer! I used a very old paper from my stash but it fits perfectly with the moodboard! Love these colors and the design! Well done!